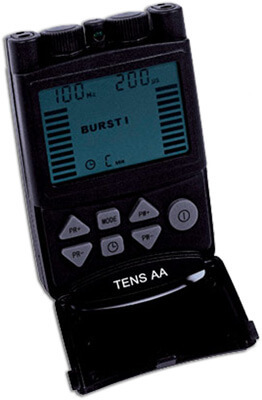 Improved Technology :The Tens AA is a unique digital Tens device that uses AA batteries, 5 treatment modes and a large LCD Screen. 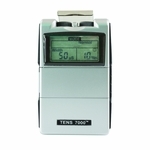 The Tens AA unit has a recall program and is easy for anyone to use. 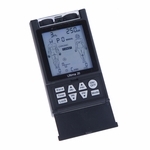 This unit is a great digital unit with a variety of programs at a great price. 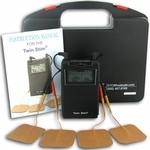 Tens AA TENS Units are used to control chronic and acute pain including Rheumatoid and Osteo-arthritis, Back pain, Menstrual Pain, Labour Pain, Peripheral Nerve Injuries, Shingles, Headache and Migraine, Cancer Pain, Trigeminal Neuralgia, Phantom Limb Pain, Sports Injuries, Sciatica, Aching Joints, Post Operative Pain, Muscular Pain, Whiplash and Neck Injury and many other painful conditions. 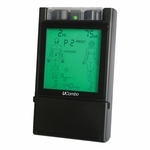 It is simple and easy to use. 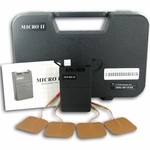 Four Electrode Pads are placed near or around the areas in pain. 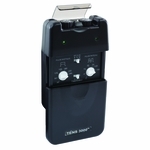 Because this TENS AA unit is Dual Channel, you can use 2 or all 4 Electrode Pads at the same time. 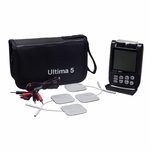 You control the pulse width, pulse rate, and intensity and in just 20 minutes per day you will experience dramatic pain relief.